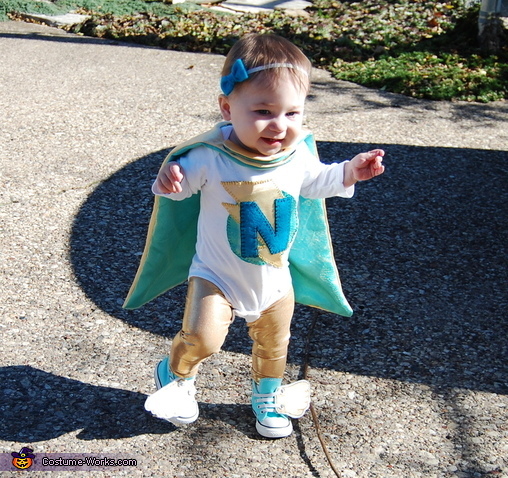 I made this costume for our daughter Natalie who is 10.5 months old. I just used a Gerber onesie, and stitched on all of the detailing. Made the gold glitter pants out of dance costume material, and the little wings on the shoes are made out of felt and gold fabric. I also made the little bow headband. She was an excellent superhero!